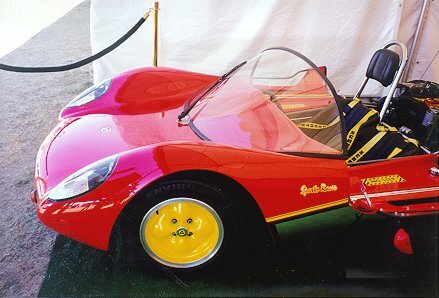 The Sports Racer is street-prepared with a safety glass windshield and Toyota 4A-GE engine from Corolla FX-16 (or MKI MR2). 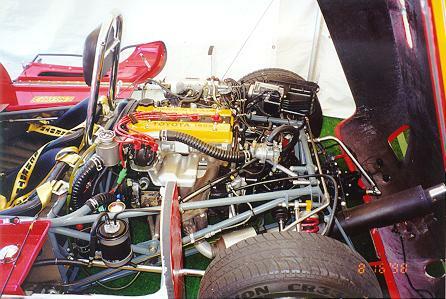 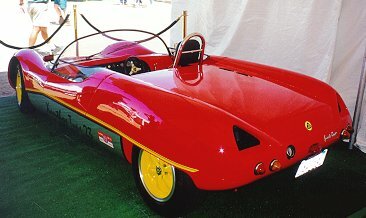 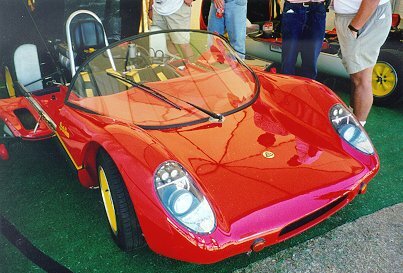 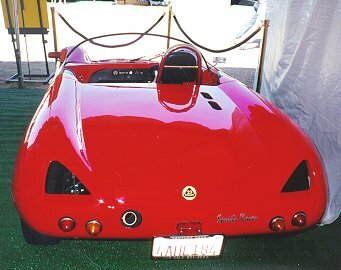 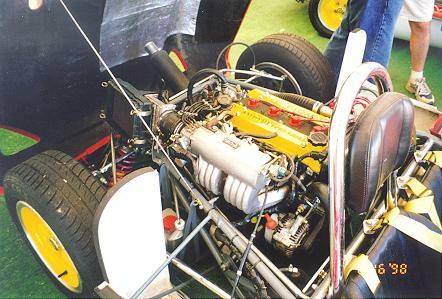 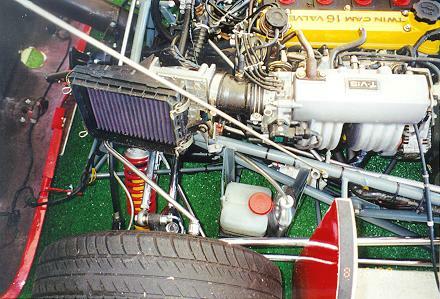 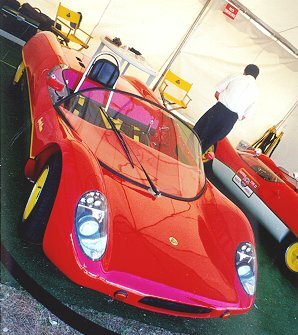 Has other minor detail differences from the Lotus Twin-Cam engined Xanthos 23B Racer also on display at Laguna Seca (images on next page). 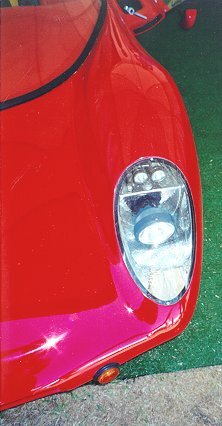 For a larger picture, please click on an image. 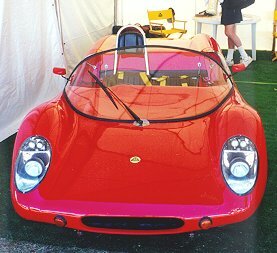 Also on display at Laguna Seca see the Xanthos 23B Racer! 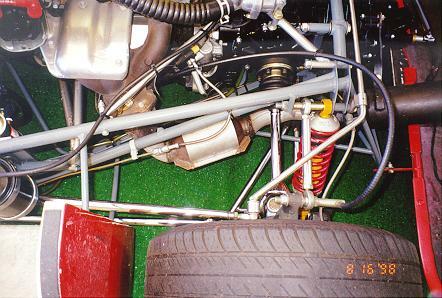 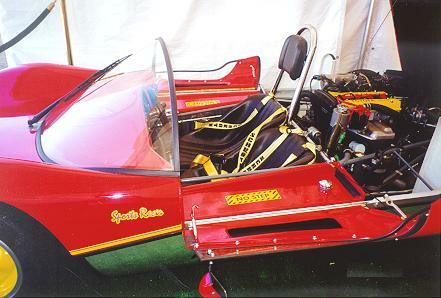 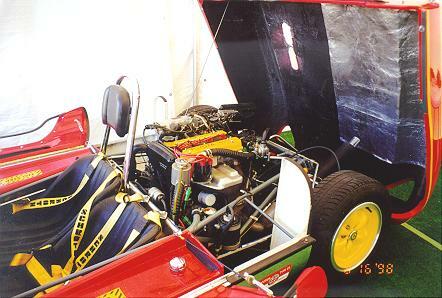 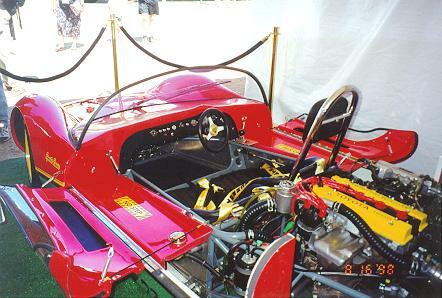 The racer features the original 23B-style windscreen and Lotus Twin-Cam engine.